Teddy Roosevelt's Boston bull terrier, Pete, often bit visitors to the White House. He almost caused an international scandal when he almost tore the pants off the French ambassador during a White House function in 1903. 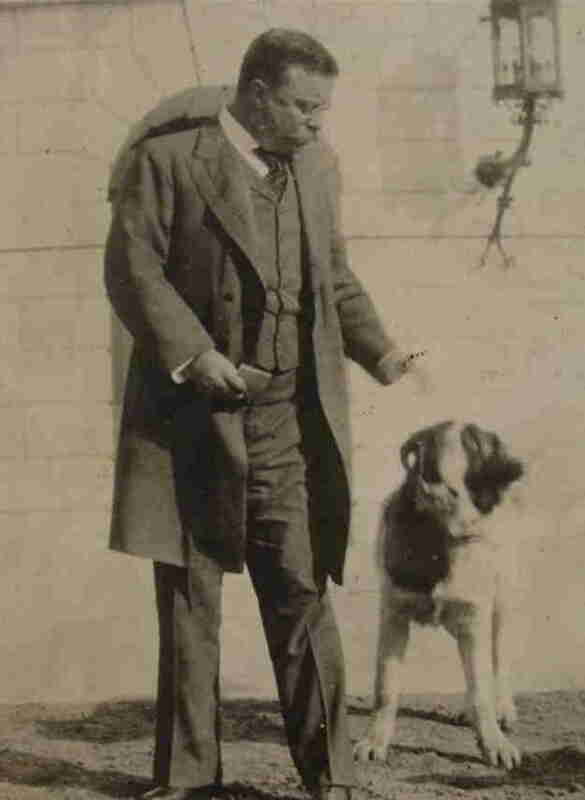 Poor Pete was consequently banished to Roosevelt's home on Long Island, where he was kept company by the president's loyal Saint Bernard, Rollo. 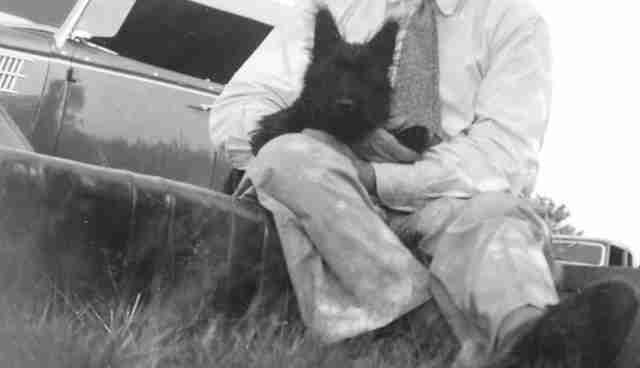 In 1944, Franklin Delano Roosevelt was running for his fourth term when rumors surfaced that he'd accidentally left behind his Scottish terrier, Fala, when visiting the Aleutian Islands-and had sent back a navy destroyer to pick him up, at the taxpayers' expense. Roosevelt made fun of these rumors in a controversial speech. "You can criticize me, my wife and my family, but you can't criticize my little dog", complained the President. "He's Scotch, and all these allegations about spending all this money have just made his little soul furious." In 1947, Harry Truman received a cocker spaniel, Feller, as an unsolicited Christmas gift. 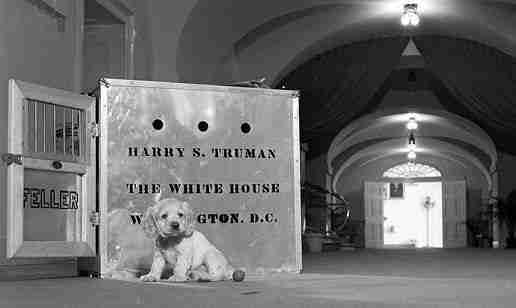 Much to the public's horror, Truman gave the dog away. Feller ended up with a White House physician, who handed him off to a Naval Admiral, who gave him to someone else. The dog finally ended up on a farm in Ohio. 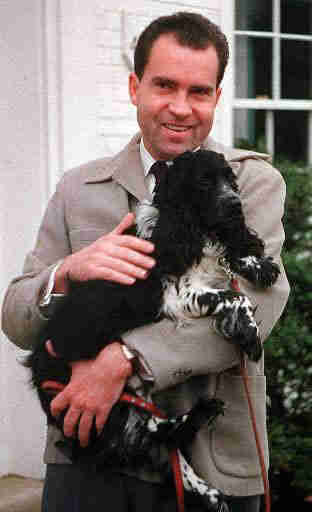 In 1952, Richard Nixon, then a candidate for vice president, admitted he's he'd broken political rules and accepted a campaign gift: an American cocker spaniel named Checkers. "I just want to say this, right now, that regardless of what they say about it, we are going to keep it," asserted Nixon. Ironically, this gaffe actually swayed public opinion determinedly in his favor. 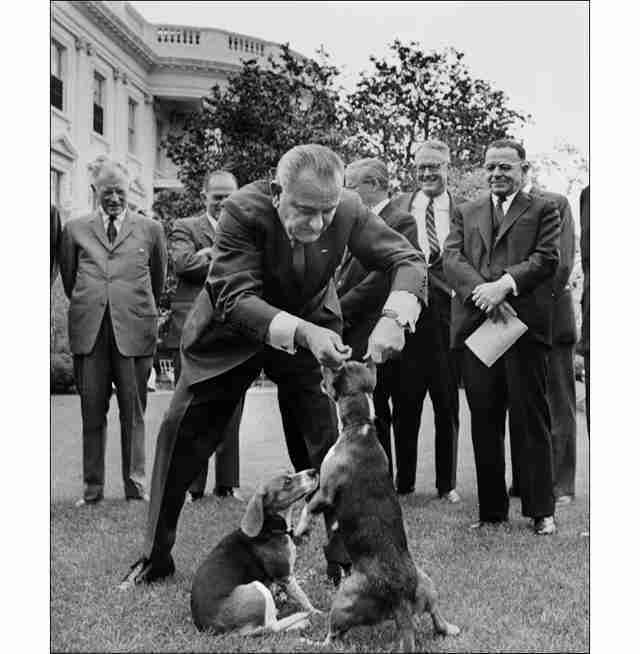 They say a president's popularity increases whenever he's photographed with his dog, but in 1964, President Lyndon Johnson caused a storm of protest when he notoriously hoisted an unfortunate beagle by the ears. 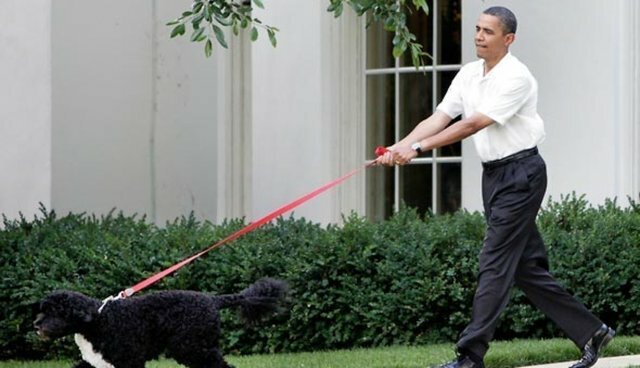 Lucky, a Bouvier des Flandres belonging to President Reagan, was known for his bad leash manners. 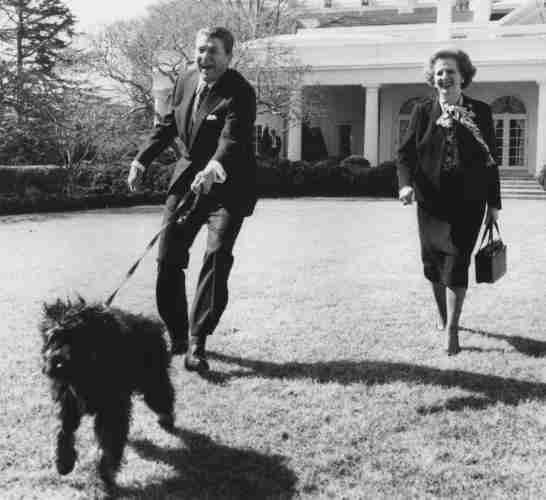 In 1985, during a visit by British Prime Minister Margaret Thatcher, the President was photographed being dragged across the White House lawn by his dog. Because of incidents like this, Lucky was sent to live at the Reagans' ranch near Santa Barbara. 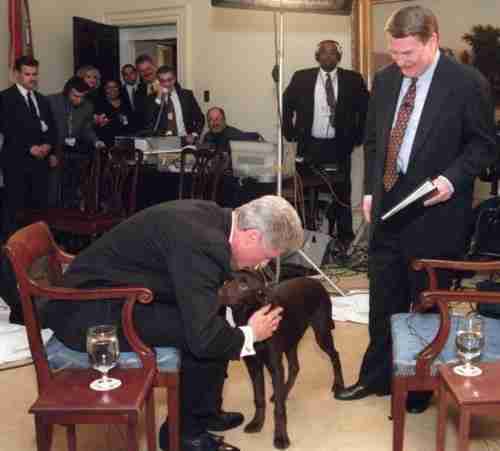 In 2000, TV cameras caught Clinton's dog Buddy relieving himself on the carpet of the Oval Office. Apparently he did this on a regular basis when he was young. 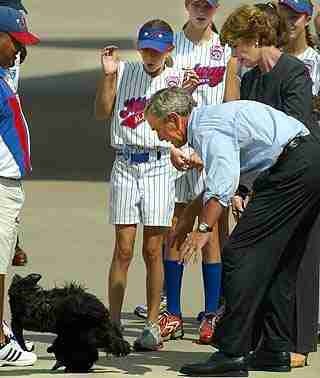 George Bush stunned his wife Laura and the members of the Waco Midway Little League Softball World Series championship team when he dropped his Scottish Terrier, Barney, on to the tarmac of a Texas Airfield in 2003. Horrified children watched as the President quickly scooped up the dog, which was fortunately uninjured. In 2008, Bush's dog Barney was in trouble again. In September, he bit the Boston Celtics public relations director Heather Walker on the wrist, breaking the skin and drawing blood, and in November, he bit Reuters news reporter Jon Decker's finger. Laura Bush's spokesperson said afterwards, "I think it was his way of saying he was done with the paparazzi." 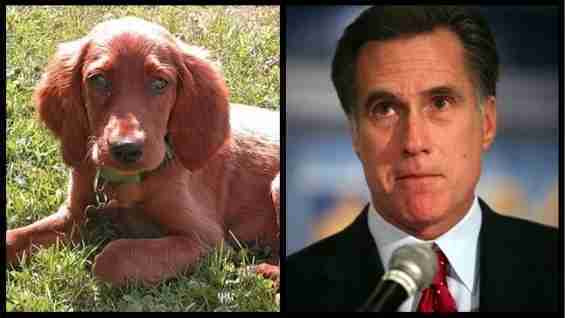 Dog lovers hounded presidential candidate Mitt Romney when it was revealed that he strapped the kennel containing his Irish Setter, Seamus, to the top of his car for a 12-hour road trip in 1983.